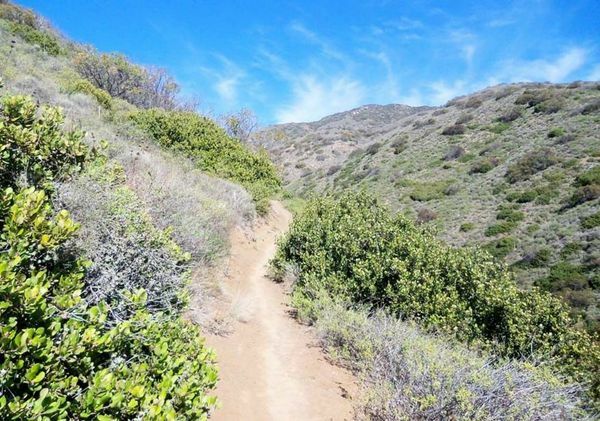 The Nicholas Flats Trail in Leo Carrillo State park is unique in the way it connects the mountains with the sea. 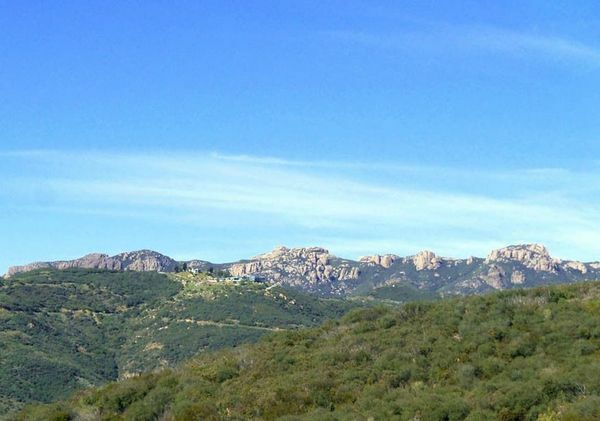 Chaparral, grassland, coastal scrub and oak woodland all converge near the flat with spectacular ocean views along the way. 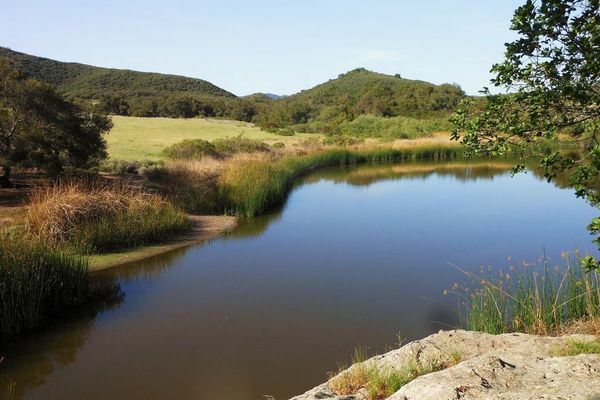 An old cattle pond backed by picturesque sandstone outcroppings provides a home for red-wing blackbirds and a welcoming resting place for us.